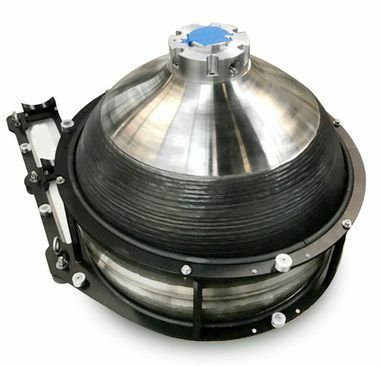 Sciaky, Inc. has announced that its Electron Beam Additive Manufacturing (EBAM) technology helped International Submarine Engineering (ISE), Ltd. cut significant time and cost from the production of a titanium Variable Ballast (VB) tank versus the traditional manufacturing process. ISE approached Sciaky after the closure of its former supplier, an overseas titanium forging facility that produced propellant tanks for the Russian space program. The engineers and project management team at Sciaky immediately put together an aggressive plan to produce a new titanium VB tank for ISE using Sciaky's patented EBAM 3D printing process. In the end, Sciaky helped ISE reduce production time from 16 weeks to 8 weeks, as well as reduce overall costs as compared to retooling with a new forging supplier. In addition, the VB tank created with Sciaky's EBAM process passed the same vigorous qualification testing as the tank previously created with the forging process. ISE now plans to 3D print other critical titanium parts with Sciaky's EBAM process. 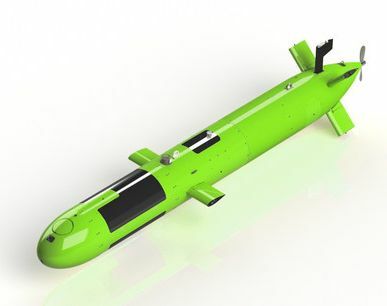 The titanium VB tank is a sub-system of ISE's Arctic Explorer Autonomous Underwater Vehicle (AUV) class of vehicles. The unique VB system enables it to park on the sea floor or hold itself on the underside of ice during missions. Rated to 5,000 meters (roughly 3.11 miles) depth, the Arctic Explorer is designed to remain underwater between missions for extended periods of time.